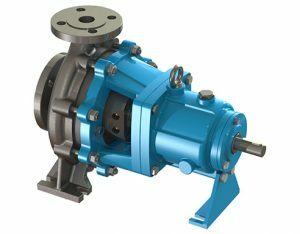 The CN SEAL-M, are heavy duty centrifugal pumps for petroleum, petrochemical and natural gas industries, according to API 610, 11th ed. / ISO 13709-2nd edition. 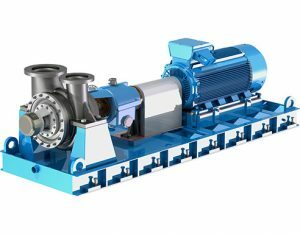 CN SEAL-M line heavy duty process pumps are horizontal, radially split, centerline supported, single entry overhung impeller, designed in a back pull-out confi guration according to latest edition of API 610 Std. • Back pull-out construction for easy maintenance. • Twin volute configuration over 8”impeller and 2” discharge nozzle size, to minimise radial loads and shaft defl ections. 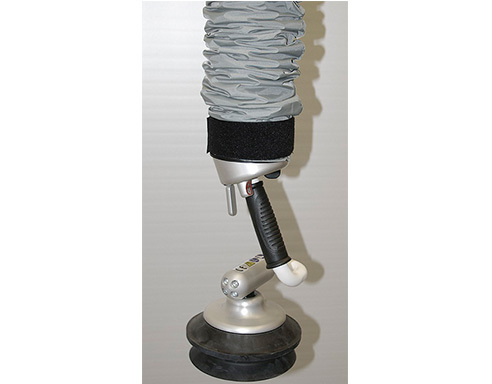 • Centerline feet mounting for high temperature stability. • Casing, bearing frame and baseplate stiff enough to assure minimum shaft deflections under heavy nozzle load conditions,to improove seal and bearings life. • Wear rings and balance holes optimised for an extended life under the most adverse suction conditions. • Seals and sealing systems in accordance to API 682 Std. • Baseplate overall dimensions according to API 610 recommendation. The performance range of the CN SEAL-M pumps is subdivided such that acceptable efficiencies can be achieved for all service conditions. 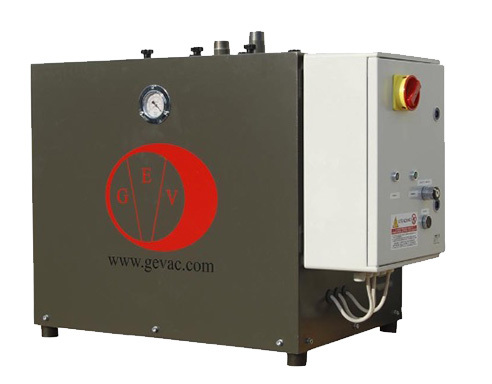 The maximum capacity goes up to 4000 mc/h. Differential head up to 220 m at 2900 rpm. 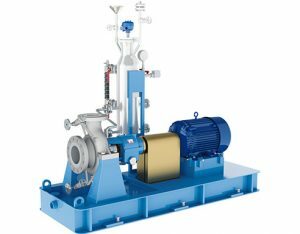 are suitable to convey nearly all kinds of liquids which are usual in the industries. Thanks to M PUMPS smart design, all the pumps of CN SEAL-M range have an equivalent magnetic driven, of the range CN MAG-M. 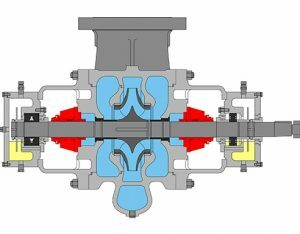 In fact, the two pump ranges have been designed by the MPUMPS engineers to give the best answer to customer needs,and are absolutely interchangeable. For this reason is always possible to upgrade your CN SEAL-M process pump to CN MAG-M API 685 2nd Edition, for plant upgrade. 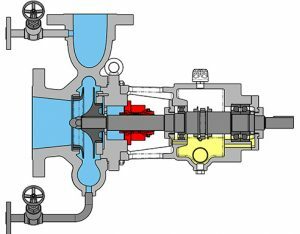 Years of experience allow to M PUMPS to easily handle any pump in any condition. 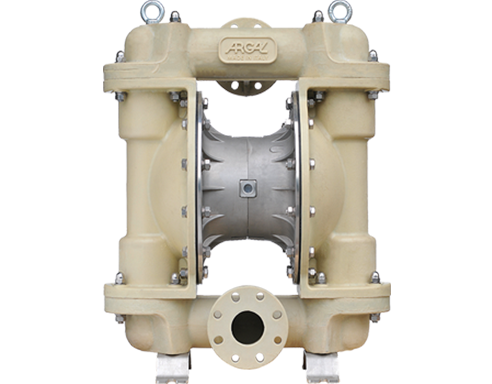 • Quality rebuilds/repairs ensure maximum reliability from your M PUMPS unit in very short time. • One-year warranty on all rebuilds/repairs. • Upgrade old designs to latest technology to maximize reliability. Your local M PUMPS service offers solutions to lowering Total Cost of Ownership of your pumping systems.This can be achieved by upgrading your older style API process pumps to today’s high performance API standard. The question of whether to Replace or Upgrade your existing equipment is a challenge faced by most end users today. compared to new pump installation, but only exploring all options, the best decision can be made. • Casing and cover with full cooling or heating jackets. • Inducer to reduce NPSH requirements. 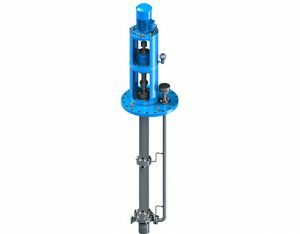 • Stuffing box cooling water or heating jacket, easily accessible forinspection and mechanical cleaning. • Standard or special bearing isolators at either bearing housing ends. • Oil mist lubrication system (pure or purge). • Water cooling for bearing bracket. Available in a wide range of materials including all API 610 constructions and custom application needs. 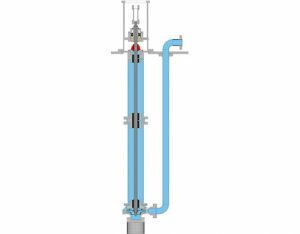 Engineered Hydraulics: Dense hydraulic coverage to better match your process for efficiency and reliability. Engineered Packaging with a wide range of drivers, seals, piping,nozzle configurations,flanges,base plates and QC testing. OH2 Heavy duty mounting feets accept ISO 13709/API-610 nozzle loads and maintain pump alignment under hard conditions. The pump shaft is sized to transmit the full driver output and is machined by CNC throughout his entire length and has a proper finish on bearing mating surfaces. To obtain satisfactory seal performance, proper shaft stiffness limits the deflection. This is the result of the combination between shaft diameter, shaft span or overhang and casing design. The outer magnet shaft is fitted in generously dimensioned antifriction bearings. The bearings are L10 rated for an average life in excess of 5 years. The oil bath is protected against atmosphere by labyrinth oil seal. The oil level is controlled by a constant level oiler and additionally by a bull’s eye sight glass. Oilmist lubrication can be supply. Labyrinth seal design prevents oil leakage out and contaminants from intruding. Material adopted is nonsparking metal. Suction and discharge connections are flanged CLASS 300 RF. Other classes and facings on request. Radially balanced for minimum shaft deflection. CF8M Pump Casing & Impeller High quality casting components. – Others materials available on request. Full comply to ISO 13709/API-610 running clearances. Multiple closed impellers for most casings to meet specific hydraulic requirements. Balanced to stringent requirements of API-610/ISO 13709. The seal chamber dimensions conform with API 610, paragraph 5.8.3 (Figure 25, Table 6).